This luxurious three bedroom apartment is situated at the Southern end of the Beach and enjoys beautiful North facing views over the beach, ocean and the beachside district of Boomerang Beach. •	Stunning views over the beach and beyond. 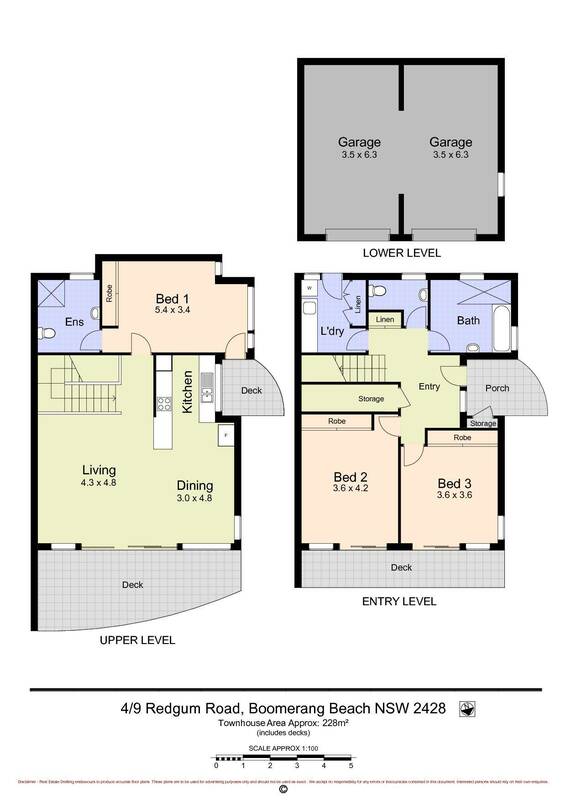 •	Large master bedroom on first floor with en suite bathroom and personal balcony.